This is a Vietnamese beef dish – Vietnamese dishes have become some of my favorite Asian recipes, they are always full of flavor! We somehow didn’t have any oyster sauce so I just used thick sweet soy sauce in addition to thin soy sauce and Golden Mountain seasoning sauce. 1. 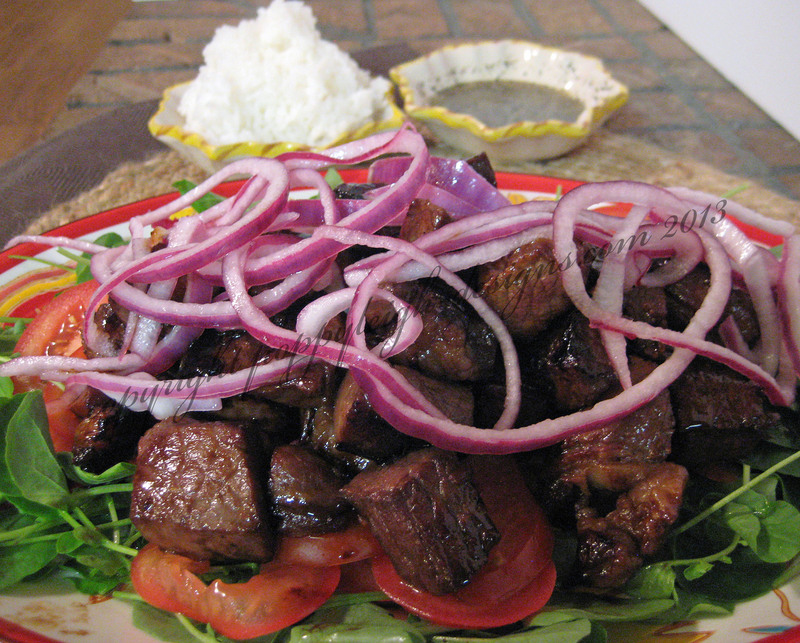 Mix all marinade ingredients and marinade the beef for at least half an hour, but preferably several hours. 2. Prepare the vinaigrette and set aside – it should be a good balance of sour, salty and sweet. 3. Thinly slice the red onion and use about 3-4 tablespoons of the vinaigrette to pickle by setting aside covered in refrigerator for about 10 minutes. 4. Prepare a bed of watercress and tomatoes in a serving platter and set aside. 5. Heat a large wok or skillet over high heat. Add about 2 tablespoons of peanut or sesame oil and when it begins to smoke add a layer of beef and allow to sear for about 2 minutes, before “shaking” to sear the opposite sides for an additional 1-2 minutes to brown all sides. It’s best to cook the beef in batches so each piece is in contact with the skillet. 6. Place the salt and pepper into a small juice and squeeze lime juice over salt and pepper for the dipping sauce. 7. Gently place the shaking beef to the bed of watercress and tomatoes. 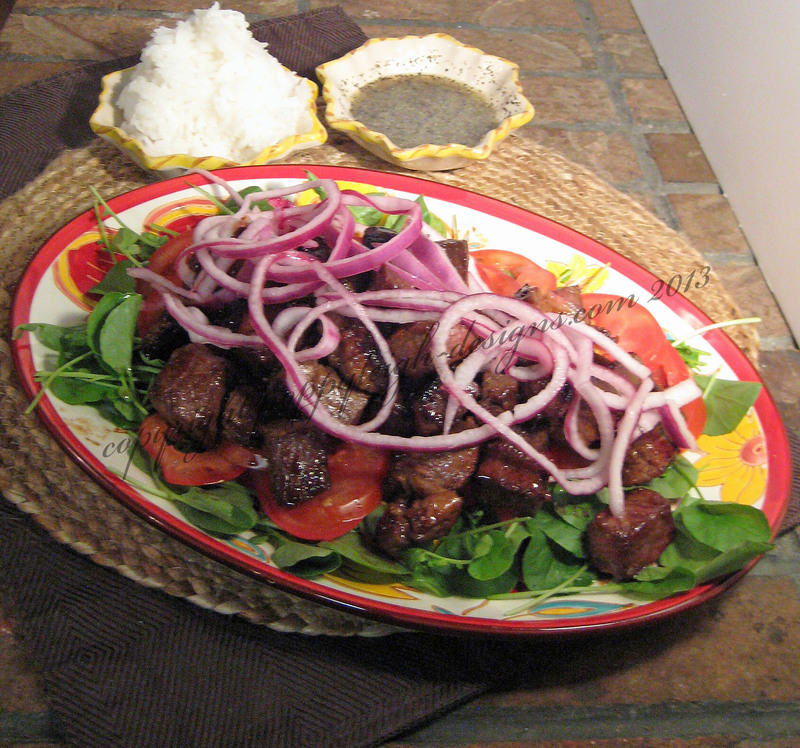 Drizzle the remaining vinaigrette over the beef and greens and top with the pickled red onions.